The Warm Fresh Air Dehumidifier Kitchen Fan is a fully automatic, with dual actions of both intake and extraction of air, with the benefit of warming the fresh external air when it is drawn into the building. 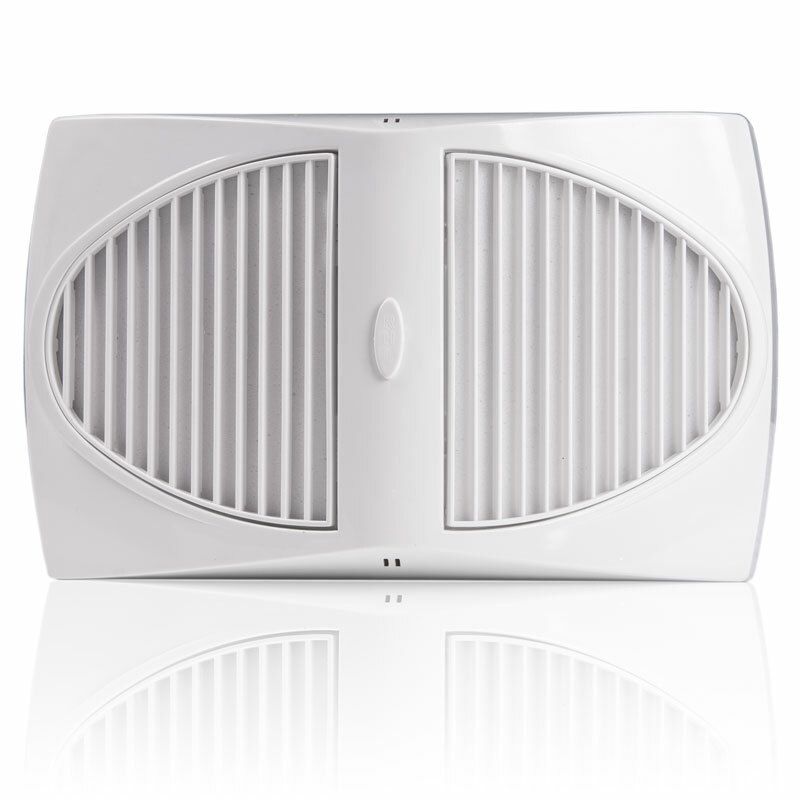 This unique feature is available using a single vent to the outside, that will fit on to your existing fan vent. The unit is completely automatic and operating for your maximum benefit and air condition, with external humidity control, external temperature sensor, light switch timed overrun, and options including air quality control of both intake and ambient room air. Optional air quality sensor to be installed separately detecting kitchen conditions and positioned to detect the external air and will switch to extract at times of low air quality. The warmed dehumidified air provides a simple and effective solution to keeping your home dry, the mild warming of the air provides for a refreshing method of keeping your home dryer by displacing wet air with dry air. The fan position should be as far as practical from the main source of air replacement. This is to avoid short-circuiting of the airflow. The fan can be placed on a wall or ceiling. 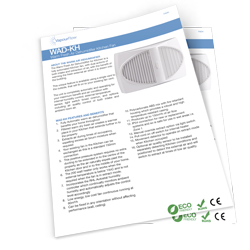 The Warm Air Dehumidifier Kitchen Fan has a 150mm spigot to fit into a circular telescopic wall sleeve. The ducting hole through the wall requires a minimum of a 5 degree downward slope to the outside. 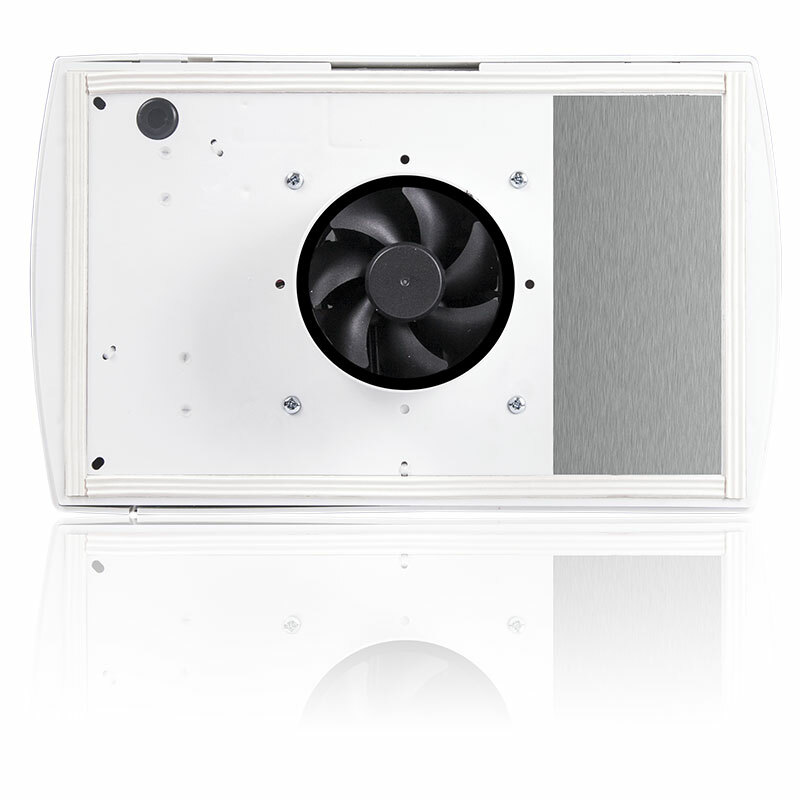 The fan should be located at a high level close to the moisture source. If the room/ dwelling contains a fuel burning device such as a gas boiler with a non-balanced flue, it is essential that there is enough replacement air to prevent fumes being drawn down the flue where the fan is extracting. 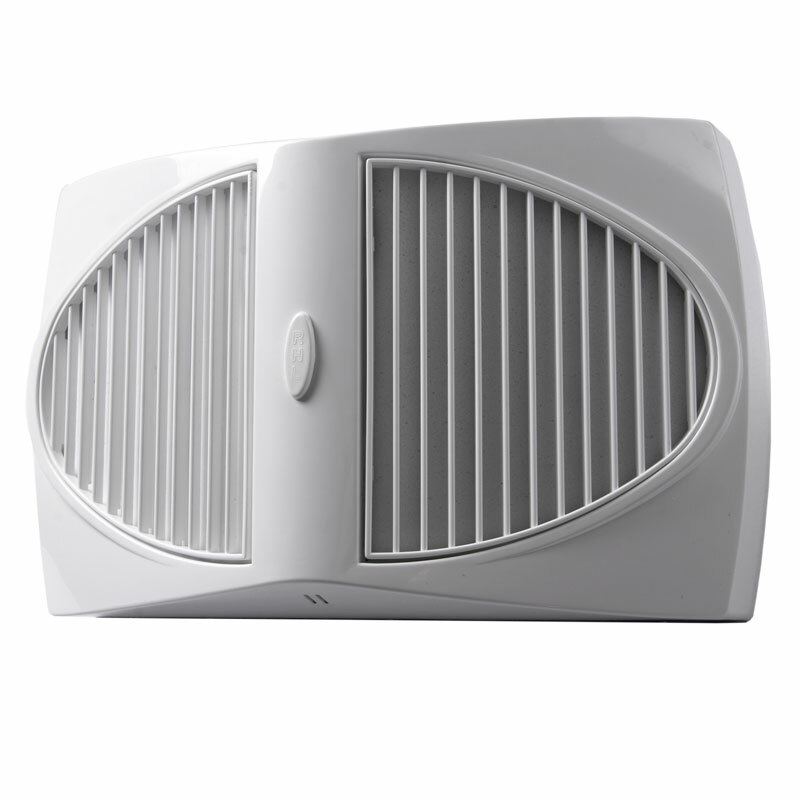 The WARM AIR KITCHEN DEHUMIDIFIER fan is supplied with an internal Autostat, heater and pull cord switch. The fan will include 2 MagLev motors of not more than 6.5 watts each extracting automatically at no less than 150m3/h and intake at no less than 80m3/hr.